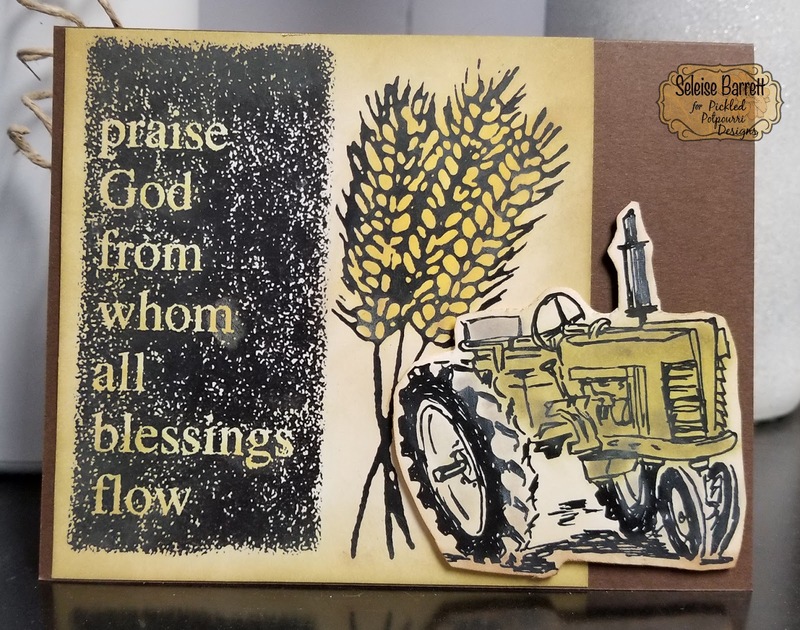 I'm a Kansas farm kid and there's nothing like tractor and wheat to bring memories of home back to me. My dad was a farmer and our farm wasn't big but it took care of us and he took care of it. He was proud of working the land and he worked hard. We had a tractor similar to this (although ours were always red...*grin*). But, I was in a green mood and wanted to play with distress inks as a coloring medium. I used daubers and q-tips as well as several colors or green, grey and amber. 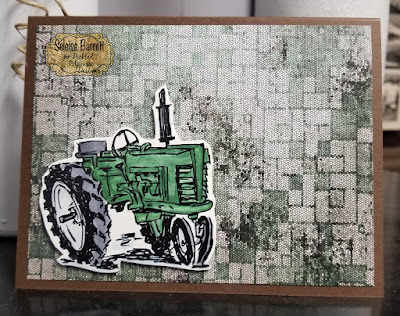 This digi stamp set is called Tractor Digital Stamp Download. I love it for several reasons. 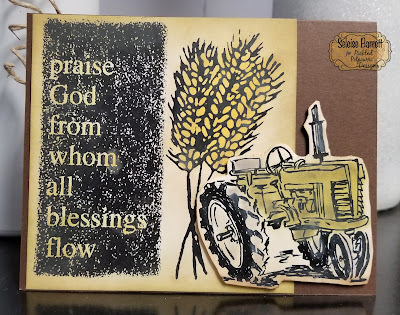 Not only does it have the memory factor but it's also perfect for making masculine cards, cards for farmers, sympathy cards for rural friends and homespun cards. Here's another version of the tractor, this time colored with copics C2, C5, G12 and G28. 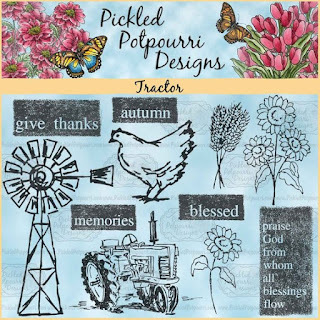 This tractor image was printed, colored and popped up on some awesome digital paper that is also available on Etsy. 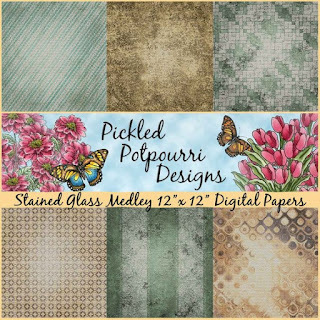 It's called Stained Glass Medley Digital Papers Download! I love how this sheet looks like farmland from an aerial view. This would be a super birthday card, get well card or an awesome notecard set, don't you think?! !